It’s not always obvious when you’re ruminating on something. A lot of times, it’s obvious when you’re ruminating about something. The same train of thought passes in your mind over and over and over again…. However, other times it’s not that obvious. It’s known that a bad situation is only bad if you don’t learn from it. So often, you find yourself mentally knees-deep in a bad situation retrieving all the gems in there just waiting to glint in the sun for you to carry to your future experiences. When you put down everything on paper, it becomes easier to forget about it. So whenever that train of thoughts passes, you know it’s filled with coal and not gems and you know you’re ruminating, because all the gems are safely in your pockets. In this case, all you have to do is wave from the platform and let the train pass you by. If you’re not a journaling person, then talking it out loud with someone might help. Discuss it with a friend, and try to figure out if you’re ‘thinking’ about it or have already crossed over to the ‘overthinking’ zone. Tony Robbins made famous the power of questions in changing your focus and improving your life. 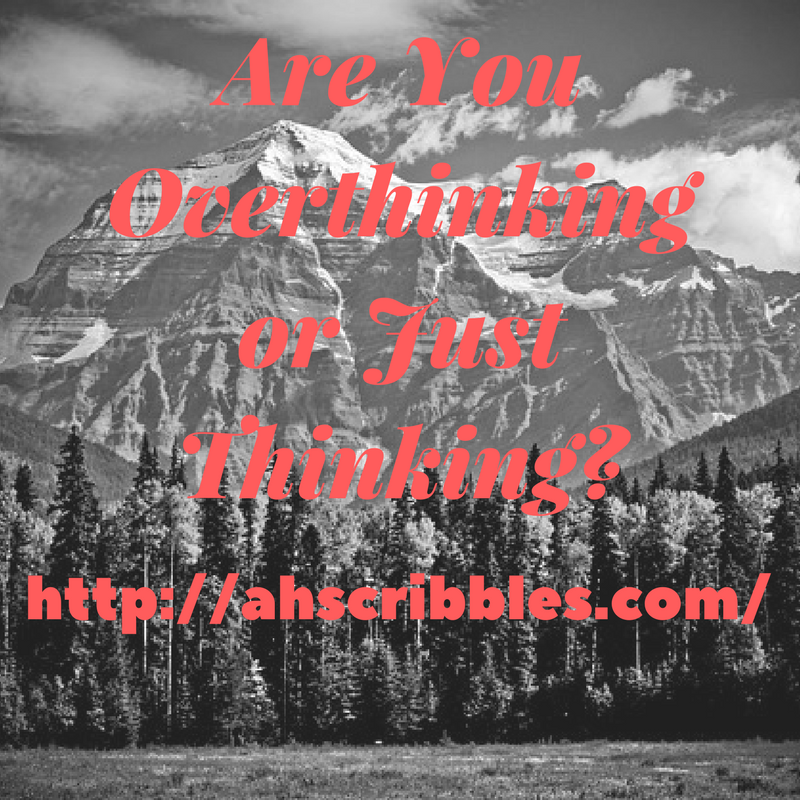 So when it comes to ruminating, stop for a second and ask yourself the question above. Because sometimes — surprisingly — the answer might be a resounding, ‘Yes’. A lot of times I used to find myself ruminating in beautiful settings. Whether it was below the Golden Gate bridge in San Francisco or the lush green landscape in Bali. Looking back, I feel it was quite sad because being in such a beautiful place should have filled me with motivation and thoughts about future goals and vision instead of looking back at all the people who hurt me. My thinking used to default to the girl who you used to dream in the laundry room and tell her that you’ll be okay, but in the process I thought of all the hurt that girl felt. So now my goal is to consciously make an effort to default to my future vision the next time I’m in nature. You know that one friend who just won’t stop talking about their failure or heartbreak or rejection, and no matter how much you try to empathize with them, all you really want to do is headslap them? So before you become that friend, give yourself an expiration date for the topic, beyond which you neither mention it nor think about it again. You decide whether that expiration date is set in a month or ten complete seconds as I wrote in How a Goldfish Can Teach You Build Grit.The goal is to know that after this time passes, this topic will self-destruct. Unfortunately there are people who ruminate about things that happened decades ago and I might have been one of them. It’s sad because none of the people in that memory even exist anymore, as everyone has changed so much. So my friends, what method are you going to use to stop yourself from moving to overthinking? Let me know on twitter @ahechoes. I overthink situations too much.